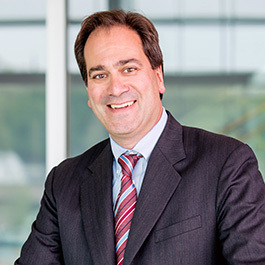 Two decades of innovative research by chemist and nanoscientist Chad Mirkin are driving a revolutionary new class of drugs that shows promise for difficult-to-treat diseases, such as brain cancer and Alzheimer’s and Parkinson’s diseases. One strategy is to take the wealth of information provided by the Human Genome Project and custom-design therapeutics that target -- and then turn off -- specific disease-causing genes. Spherical nucleic acids (SNAs) -- new nanoscale globular forms of DNA and RNA -- make up a new class of drugs. This novel 3-D architecture, first invented by Mirkin in 1996, gives SNAs privileged access into cells and tissues -- access not provided to their linear or intricately folded counterparts. Mirkin, the George B. Rathmann Professor of Chemistry and director of the International Institute for Nanotechnology, is known worldwide for his invention of SNAs and the development of biological and chemical diagnostic and therapeutic systems based upon them. In 2011, Mirkin co-founded the biotechnology company Exicure to transition advances in nanotechnology -- specifically SNAs, which are non-toxic and non-immunogenic to humans -- to the diagnosis and treatment of a wide variety of diseases. Animal studies led by Mirkin at Northwestern have shown that SNAs can cross the blood-brain barrier and localize in glioblastoma tumors, where they turn off a critical cancer-causing gene. The spherical nucleic acid platform, in principle, can be applied to any disease or disorder with a genetic basis. Three SNA drugs are now in human clinical trials and many more are on the horizon.